Starting your own business can be quite challenging. Most people don’t even begin because they do not have enough money. And many small businesses fail within the first year because they run out of cash. Figuring out how to start your own business with no money can be a daunting task. The simple answer is to start an online business. 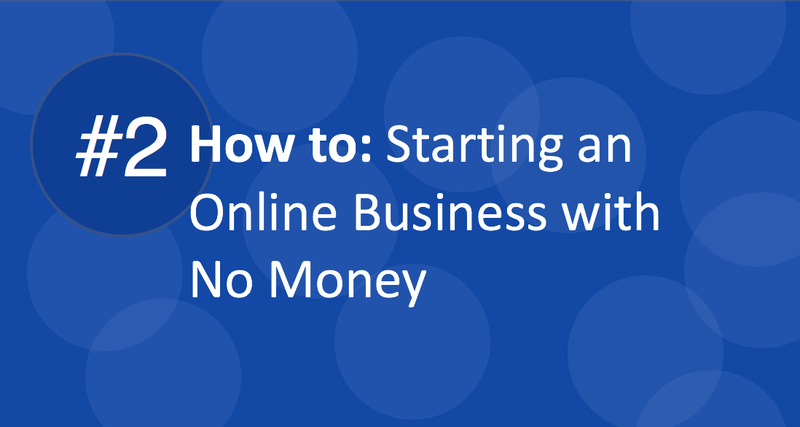 But have no fear, in this second how to guide – “How To: Starting An Online Business with no Money”, I will show you what options you have to become an online entrepreneur with next to nothing. From a personal perspective, one of the most frustrating feelings in the world is coming up with great business ideas and then having your bubble burst simply because you have no money to start. Let’s face it, you could have great ideas, a fantastic personality, a great entrepreneurial spirit and the best education, but if you have no money to start your business you would have failed even before you begin. Getting into debt is never a great idea if you have no real capital to back it up. You’d be shooting yourself in the foot from the get-go. And unless you have a rich fairy godmother then you’re on your own. Though, while frustrating, don’t give up just yet. There are ways to start your own business with little or no money. Back in 2015, I came up with a great online business idea that I was certain would succeed. I imagined myself making tons of money while I slept. I would see myself waking up in the morning and checking my bank account to see a few more zeros added at the end of the balance. This was solid. Then I started engaging service providers and seeking out partners that I needed to make the business a reality. Then “pop!” my bubble was burst even before it was inflated at all. I needed to raise over $100,000 to get the business done in the exact manner I wanted it. “What to do?” I thought to myself. Then, after a few restless nights and worrisome days, I decided that I could scale it down and try a different approach. But I still needed about $30,000 for the scaled-down version. Then after a bit of research, I came across a really great website that showed me another way I could approach the development of my business without having to sell my first born. This website opened up a whole new world to me that I never knew existed. It comprised thousands and thousands of like-minded individuals who were busy developing their own businesses in their own way, supporting each other in the process through feedback, comments, sharing, training, posting ideas about how to unleash your inner entrepreneur. It seemed too good to be true. Being the skeptic I am, I started doing some research on the community and what I found was amazing. Not one negative review or scam alert. I jumped on the bandwagon and never looked back. What exactly were they offering, and what does this have to do with starting your own business with no money? Absolutely everything! Wealthy Affiliate (WA), showed me the brand, new world of affiliate marketing. Rather than putting in the effort to create my own online products or develop my own online platform as I had planned, WA showed me that I could promote the products of others and earn a commission. These companies do not charge you anything to sell their products, you do not have to purchase inventory, hire employees, set up a building/store or do any sort of expensive marketing/advertising. All I needed to do was set up a website (around $10-$15 per year) and start building content ($0), developing affiliate arrangements ($0) and monetizing my website ($0). It was that simple. The only thing I paid for was training, web hosting, website security, website building tools, website tools, website performance analytics and online community support. And believe it or not, I got all of those thing in one place. You guessed it, Wealthy Affiliate. For just $359 per year I was able to get started with my online business. I mean, really? For less than $1 per day I am able to run my own business and without the usual stress that running a business entails. No employees, no rent, no loans, no fuss. Plus, I got to try out all of their neat goodies for 7 days and during that period they didn’t once ask me for my credit card. Plus, if I chose, I could have continued with the free version (a lite version compared to the premium version). But the offer was so good that I felt that I would have been throwing away a great opportunity if I didn’t join. Don’t quit your current job. Use your current job to fund your online business. If you’re unemployed no problem, still take that position you applied for until your business is solid and you can earn a steady income online. Figure out what is your passion. Don’t just start a business on the notion of making big bucks overnight. It’s lots of work. Lots. Instead, build your online business around what you love to do. What’s your hobby or passion? Is it music, fashion, art, food, sports, dancing, gardening, etc? Your passion is your niche. Competition in the online world is fierce. So finding a niche is critical. Your passion will guide you in selecting your niche. You need to drill down and become more specific. If your passion is playing the guitar and you’re thinking of giving online guitar lessons, try being as specific as possible. For example, you could do “classical guitar training for: toddlers or teens or girls or left handed people”. Click here to learn more about picking a niche idea for your online business. Check out the Competition. Before you dive into your online business you need to see what the competition is doing. 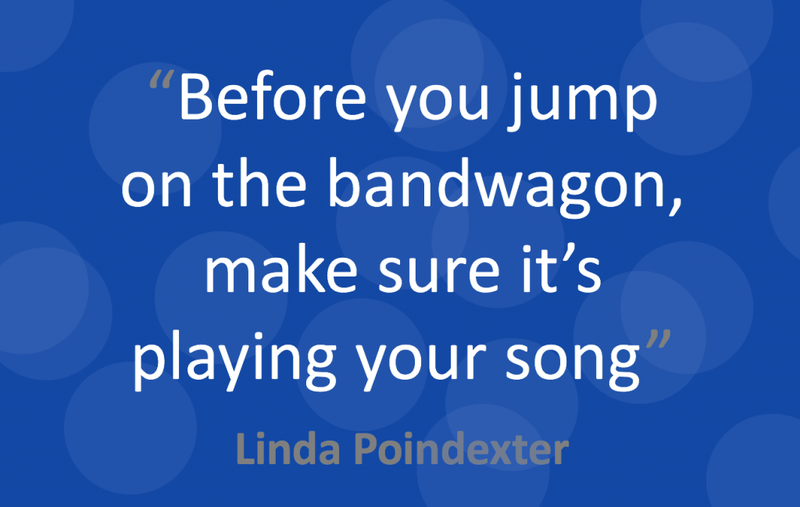 Do a Google search for your target niche. Check the top 3 or 5 competing sites in your niche. See what sort of content and strategies they use. You may want to see how their site is performing – how many visitors, how many organic searches, how many paid searches, which countries they operate in, what technology they are using, what’s the average length of their content, which pages or keywords are getting most of the traffic and so on. Enter one of your competitors website in the tool below and see what happens. Enter yours as well to compare. See what expenditure is required. Okay, while this post is entitled “#2 How To: Starting your own Business with No Money”, let’s be honest there will be some amount of spending involved. It definitely won’t be millions or thousands. But it may not even be hundreds of dollars. For instance you do have to pay for a website (although there are some free options available, but your OWN domain is much better and more professional looking). You may have to pay for training, even if it’s a basic ebook. You have to pay for internet access and so on. But what you’d need to spend on a blog or to do affiliate marketing, for instance, will be no where close to what you’d need to spend to put up a shopping mall. Get Free Money from Other People. One way to build an online business with no money is to build one using other people’s money. Money you don’t even need to pay back or share profits. One such option is through crowd-funding. basically, people send you money to fund your idea once they feel it’s valuable. In return you can offer them free access to your product. Popular crowd-funding sources include – Indiegogo, GoFundMe, and Kickstarter. Carry out Market Research Using Quizzes. One of the tools to use for market research is to launch a quiz or survey. People love taking quizzes. Research shows that the most popular quiz type is the “What Character are You”. Try to fit this around your product some how. Using the guitar example from above, your quiz could be called What type of Rock Star Guitarist are you. Of course, the questions you ask inside the quiz will relate to what you want to find out about your niche. The end result could be three or four popular guitarists that really represent a segmentation funnel. For you it’s highly valuable. For your visitor it’s loads of fun. Get the Right Training. Setting up an online business and setting the right online business the correct way are two completely different things. Most online entrepreneurs do not have the technical or even the basic knowledge to get started. However, there are tons of training out there on a variety of topics from building a website, to choosing a niche, to getting traffic, what types of plugins to use, how to use CSS coding, WordPress training, how to convert website visitors, search engine optimization and many others. If you want everything you need to know about building a successful online business from scratch with no money, then by far, my #1 recommendation is Wealthy Affiliate. b. Access to 13 training classrooms with numerous other training sessions (too many to count). c. Also, every Friday there is a live webinar session with Training Coach, Jay. If I miss a session, I just watch the replay video that is posted on the site. 6. I get to connect with other members, ask them questions, get feedback, etc. I’ve formed strong friendships through this forum. 7. I can request one-on-one feedback from others – they review my website and give me pointers on what I could do better to be more successful. 8. I can ask members to go on my site and leave comments. WA has a pay-it-forward system. Consistent and frequent comments on a website helps it improve its page rank on Google. Basically, we help each other out to move up in rank on Google. 9. I get a very effective and easy-to-use Keyword Tool. As you know, ranking in Google requires unique keywords. The keyword tool helps you find the right keywords to optimize your site for search. I’m already ranking on page one in the QSR in Google for a couple of keywords. And I did that without taking out any ads or paying some hotshot to optimize my site. 10. An Affiliate Bootcamp that teaches you how to become the ideal affiliate member, invaluable lessons that have helped me in many other areas in my online journey. 11. Help from other WA members in building a community base on Google+, it is claimed that a strong G+ presence helps build SEO rank with Google. 12. Hosting for up to 50 websites. 14. Site Health monitoring – this is a tool that lets me know if I’m working hard and smart enough to make my website a success. It tracks frequency and quality of post and content, visitor engagement (comments), appropriate use of plugins, Google ranking, site speed, and site trust on search engines (such as Google and Bing). I’m sure I’ve missed a few other features. But for less than $1 per day, this is a steal of a deal in my book. So come on in and join me and 800,000 other online entrepreneurs. After you join look out for an email from me and I’ll guide you along as you get started. You may even contact me directly and I’ll help you navigate your way around building your business – picking a niche, selecting a domain name, building a website, and rolling out content. So there you have it. A very simple guide on starting a business with no money. I appreciate your feedback, please feel free to leave me a comment below. Also, share this post on Facebook or Twitter. Great reading. I like the checklist, got new ideas as well. Thanks Jan. Glad that you liked the checklist. What an awesome article. You gave a lot information, and you still managed to hold my attention. Well done. I’m also member of Wealthy Affiliate and I really enjoy it. I learn a lot there! I really like the community too! They help me with every question. So glad you liked this post on starting an online business with no money. I wish you much continued success in your online business. Glad to hear that you experience at Wealthy Affiliate has been positive. That’s usually the case for most people. Starting a business of any kind without money is rather frustrating. I like that you encourage your readers to keep their jobs while building their business. Wealthy Affiliate is one of the few places that you can start an online business without proper funding. I have never thought about Crowd-Funding, that is a good idea. The training at Wealthy Affiliate is awesome and what I like about it is that it caters to the needs of everyone. You just have to decide on the level you are at and work with the training. Both experienced marketers and the inexperienced ones will find what they need in the training that is offered. Your post is quite interesting. Thanks so much Luna for your kind sentiment. when I say keep your job I was speaking from personal experience. Back in 2006-2007 I tried to start a business and I quit my job because balancing both was quite demanding. Then of course, the Recession hit in 2008 and I had to close down my business because I could not continue to sustain it without cash. Now, I can fund my business with the monthly salary I get from my regular job. It is challenging but the light at the end of the tunnel gets brighter everyday. This sounds too good to be true. I tend to agree with your checklist. I started doing affiliate marketing with a product called Google Sniper which was the brainchild of one George Montague Brown and it involved building websites and monetizing them in a similar fashion to this Wealthy Affiliate. However, it lacked support and I faced many hurdles on my own, some I could overcome but most of them I couldn’t. What did this means for mt business? Well, it crashed and burned basically. My recommendation to anyone thinking of starting an affiliate marketing career would be to prioritize technical support. Wealthy Affiliate sounds like the best option and you definitely get a lot for your money. I spent $1000’s with Google Sniper and made peanuts. Thanks Craig for this honest and personal comment. I know exactly what you mean about spending thousands. The same thing happened to me as I’m sure it has happened to a lot of people. I am glad that you finally found Wealthy Affiliate and that you are doing well. I too can attest to the excellent product that Wealthy Affiliate offers. I found it very helpful reading about the different ways that I can start my own website for free. Wealthy affiliate definitely seems like an overall perfect platform for my first website and I am absolutely going to give it a try. Thanks for the help! Glad that you were able to make a decision about using Wealthy Affiliate to launch your online business. Glad that I could help. I did a quick analysis on a few major competitors in the space I’m in on your SEM Rush link and it looks like there’s a lot of traffic, but also a lot of competition out there. SEM Rush didn’t let me see where my competition was getting backlinks though, do you know anywhere I can look into this for free? If you click on the backlink number Senmrush provides you’d be able to see a few of the backlinks. They just require you to register with them and you’d get 10 free searches. The paid version shows you all. But all you really need is the top ones anyway. Thanks for the insight, Kevon! I love the Semrush tool, it’s super helpful, and kind of intimidating. Looking at the competition in my niche, they have millions of keywords locked down and hundreds of thousands of organic visitors each month. But the info provided in this post and by Semrush is invaluable. Thank you! Thanks Matthew. I am super glad that the Semrush tool was useful. But don’t be intimidated. Look on the positive side. At least you know where the bar is and you can monitor and copy what your competitors are doing and even try to do certain things better. Great stuff once again, Kevon. The opportunity to get going these days without a capital investment is something that so many people of the industrial age don’t understand. They’re stuck in the in “brick and mortar” mindset, and missing an incredible opportunity. We used to talk about “OPM” in an earlier phase of my career: Other People’s Money. We saw all kinds of people who were masters at that technique. I smiled when I saw something similar to that here. Thank you for your comment. I know exactly what you mean when you said that people are stuck in the industrial age. We are now past that and are in the information age. So those who are still stuck in the ‘brick and mortar’ mindset are missing the boat entirely. So basically, information is the new currency. And being able to set up a business based solely on sharing information with others through a blog (affiliate marketing, blogging, product reviews, etc.) is 100% proof that information is the new currency. Kevon, as always, I enjoyed your article. You offer sound advice for anyone who would like to start a business online, but is strapped for money. 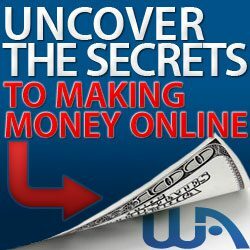 If someone is interested in making money online, Wealthy Affiliate is the place to learn how! I joined WA in 2014 and have not regretted it. WA offers tremendous support and I have met people from all parts of the world (awesome). I don’t know of another platform, that teaches you how to make money online, equal to WA. I would sign up with WA for the free option. You get seven days to try it out. Then on the sixth day go premium, because you will get the first month for ONLY $19! This will give you five weeks to see for yourself that WA is the best training online for starting your very own online business. All the best to you, Kevon! Thanks Don. Great tip on getting the most from Wealthy Affiliate. I liked the idea of going free then going premium on the sixth day. I appreciate you personal review or testimony of Wealthy affiliate. I have joined so many network marketing companies, joined affiliate training sites, how to build my own website…etc and in the end, I was almost just as confused as before with not much to show for it and a good chunk of change out the door. The problem was always the support. Never was there anyone to answer a question immediately for me. Waiting 24 hours is not possible when you need to move along with momentum. I took the first free lessons with Wealthy Affiliate and was so impressed, I went to a paid membership. Worth every single penny and so reasonable!! I have finally been able to enjoy being an affiliate marketer and know what I am doing. Hope people jump on this opportunity. Thanks Linda for this endorsement and testimony about Wealthy Affiliate. I had a similar experience. My Wealthy Affiliate experience so far has been 100% positive.